HVAC systems are often the biggest users of your energy costs, so using them in the most efficient ways will make a big difference for you. There are definite ways to improve HVAC efficiency and here are 8 of the best. If your heating and cooling system is at least 10 years old, you can get double or triple return on investment by switching to better HVAC equipment. Today’s models have higher SEER ratings (seasonal energy efficiency ratio). Equipment you purchase today has a SEER rating between 14 and 18, making them much more efficient over units built even a decade ago. Always be on the lookout for Energy Star-rated models, all of which follow strict guidelines for energy efficiency. If you have a well-maintained, large system that is energy intensive, then you are a candidate for retrofitting. If you’ve had it with fixing older units, or are looking to buy time before investing in another HVAC system, or you are looking for more comfort in a newer unit, retrofitting could be for you. Even when you add or replace parts, the Department of Energy estimates that you can save up to 35% in energy costs with retrofitting. This is one way to put off a total upgrade and often pays off nicely. We carry every type of AC supply you might be looking for. Improve HVAC efficiency by getting an automated system. You can schedule when adjustments to the system’s functioning are made. Today’s automated systems are so much better for your HVAC systems and for your wallet as well. Nothing runs on automatic forever. Remember to schedule yearly maintenance checks (and follow our ac maintenance tips) to keep your HVAC systems running at top efficiency. That includes the start and the end of both your heating and cooling seasons. By doing it this way, you’ll be saving money in the long run, because you always get discounts with lump-sum accounts. It will also save you big money in costly repairs should they happen. You most likely can’t tell the difference between an 83-degree day and an 85-degree day. If you change your thermostat by 2 or 3 degrees, especially when it’s very hot, you’ll find your energy costs can decrease by about 18%. When it’s hot outside, set your HVAC system to 75 degrees to start seeing the financial difference. When you set a thermostat to 72 degrees, you will be using 39% more energy than if you set your thermostat at 78 degrees. When you’re not home or there isn’t a houseful of people, turn your thermostat up to keep your costs down. Using a programmable thermostat makes it even easier – set it and forget it. When you are not using equipment such as media systems, exercise equipment, computers, laptops and other machinery, turn them off. When these things are not in use, don’t leave them in sleep mode or constantly running. Electronic equipment generates a lot of heat. Appliances that are constantly plugged in account for a significant portion of total residential energy use. 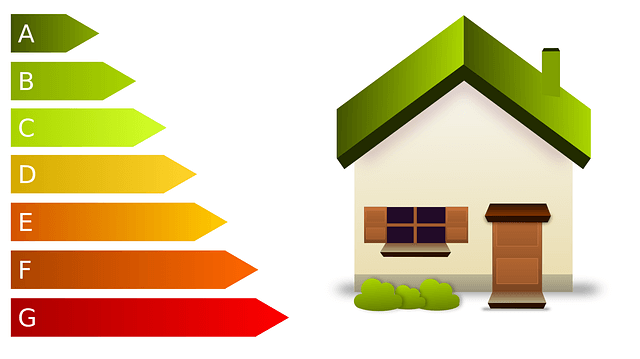 To save as much energy as you can, improve HVAC efficiency with overall energy efficiency. To further improve HVAC efficiency, keep units such as air conditioners free from debris and leaves. Indoors, no vents or air ducts should be blocked by furniture. HVAC parts and central ac supplies are readily available should you need replacement parts as these are vital to keeping your HVAC system as energy efficient as possible. This is an often overlooked part of good maintenance by you. Blocked air filters are a common cause of HVAC systems not working at their best. Clogged filters will make your systems run longer and use more power. Filters, however, trap dust before it can get into the system and damage it; clogged filters won’t be trapping anything. A little maintenance throughout your house on a regular basis will help your HVAC system run at top capacity. Maintenance doesn’t have to be hard labor and it doesn’t have to be very expensive either. With a little regular attention, you can improve HVAC efficiency and the overall health of the system, as well as its longevity.